That’s how Athens-based crypto enthusiast named “Sporos” describes faircoin – a tiny, $0.22 asset that in terms of daily trading volume, is barely a glitch on global cryptocurrency exchanges. Although it’s listed at number 1,134 on CoinMarketCap, faircoin users aren’t phased by the market’s disinterest. Instead, they pride themselves on faircoin’s utility – which they say serves as nothing less than a lifeline. “I haven’t used a bank in eight years,” Sporos told CoinDesk. Sporos was speaking from the heart of Exarcheia, an anarchist stronghold in Athens, where he maintains a faircoin information center. One of several hundred similar stations around the world, the center is stocked with homemade products like soaps, honey, olive oils, teas and jewelry, all available for purchase in faircoin. According to available data, there’s an estimated 624 such centers worldwide, each part of what Sporos calls the “faircoin ecosystem,” which includes a transportation sharing app, an AirBnB alternative and even a faircoin-based, tax-free financial institution called Bank of the Commons. Within this network, Sporos refers to himself as a “node.” While typically referring to computers, in faircoin, a node is a human representative that forges links between local initiatives and the global faircoin community, also known as FairCoop. And those that are part of this cooperative trade faircoin – even with its price on CoinMarketCap far lower – for a fixed €1.20. It’s a strict peg that was decided on by an assembly of faircoin users in January. But while the valuation has been reduced on public cryptocurrency exchanges, Sporos argues the underlying infrastructure remains resilient. Speaking to CoinDesk, Sporos described faircoin as “totally the opposite” of all other cryptocurrencies. “Aside from the blockchain, which is the same technology, the rest, why it is there, the people who use it, the past and the future of it, is totally the opposite,” Sporos said. Created in 2014, faircoin didn’t originate from its current community. Rather, the cryptocurrency was discovered online by anti-capitalist activist Enric Duran, having been abandoned by its original creator (who allegedly created it as a pump-and-dump scheme). A legendary activist, Duran is known for robbing nearly half a million euros in loans from Spanish banks in 2008, before founding a post-capitalist collective, the Catalan Integral Cooperative (CIC). “What they wanted to do was use the legal system and find bureaucratic loopholes to create their own internal economy and structure outside of the state, where people can satisfy their basic needs,” bitcoin developer and early faircoin technical advisor, Amir Taaki, told CoinDesk. From his site in the CIC, Duran organized the fledging faircoin community into an international body, named FairCoop, that seeks collaborations with groups that share similar ideas. At the time of writing, “nearly one thousand freelancers, cooperatives, worker-run businesses and small companies accept faircoin for their work and services,” that serve up to “15,000 users in total,” Duran and a faircoin developer that wished to remain anonymous told CoinDesk in a joint statement. Simply providing “tools for political disobedience,” Sporos said that faircoin often works in tandem with other local currency efforts, providing economic tools for communities to differentiate themselves from state forces. 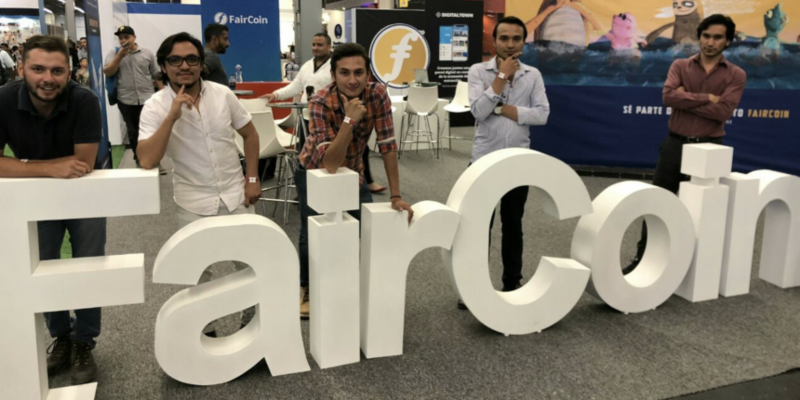 Consisting of small, community-oriented efforts internationally, faircoin is distinguished from other cryptocurrencies by its emphasis on trust, which is a defining security characteristic of its blockchain. “We as faircoin advocates believe that human trust networked relations and decentralized technologies as the blockchain can and should be combined,” Duran and the anonymous developer continued. Initially built on proof-of-stake, faircoin switched to a new way to protect its cryptocurrency in 2017, named “proof-of-cooperation.” Designed by faircoin core developer Thomas König, proof-of-cooperation is an ultra light-weight consensus mechanism that runs on a set of 19 raspberry pies. “The whole system runs on 60 watts, so two light bulbs,” Sporos told CoinDesk. Seeking to disable the competitive nature of bitcoin mining, proof-of-cooperation requires that all 19 of these nodes must collaborate in order to validate a block – a task for which they’re paid for in transaction fees. Compared to other cryptocurrencies, at a mere 19 block-producing nodes, the underlying group responsible for keeping the network moving are less broadly distributed. And that’s because, in order to become one of these nodes, faircoin deploys a social vetting process – intended to protect its economy from bad actors, like hackers or speculators. The underlying block creators – comprised of what is known as a “cooperatively validated node” – must be approved by the FairCoop assembly, a network of roughly 280 faircoin users responsible for making decisions, to ensure their ideological commitment to the project. For some, this means faircoin is vulnerable to centralization affects, such as censorship resistance, but according to Duran, cryptocurrencies like bitcoin are just as centralized, due to the relatively few companies that can participate in the mining process. Plus, the developers emphasized that while block creation is essentially a federated process, anyone can run a full node to verify transactions are accurate. But the trusted, human element underpinning the blockchain doesn’t stop there. For example, as well as agreeing on cooperatively validated nodes, the FairCoop assembly is responsible for making technical changes to the network, such as fees, block weight and other things, without requiring a system-wide upgrade, or hard fork. Additionally, the majority of faircoin is held in a reserve that is managed by a small set of key holders. These key holders, also called “nodes,” are responsible for distributing the cryptocurrency to “small, dense communities” that use faircoin within their own local economies. As such, there’s a high degree of social coordination that underpins the faircoin ecosystem, which Sporos described as “extremely challenging” given the diverse groups present within the international body. “Human governance of things can be weak, complicated, can be conflicting, can be human,” he told CoinDesk. For example, while faircoin seeks to maintain a stable exchange rate to protect against speculation, the cryptocurrency got swept up in the rising market prices last year, leading to a community decision to increase its valuation from €1.00 to €1.20. Since then, the markets have plummeted, leading to the miscorrelation between its market price and local trade. As a result, the faircoin reserve has insufficient liquidity to properly manage the ecosystem, leading to a poor distribution of wealth among the networks of faircoin users. “Faircoin’s stability is designed to remove market risk, but in the case of a crash it’s the reserve that takes the hit,” Slater said. 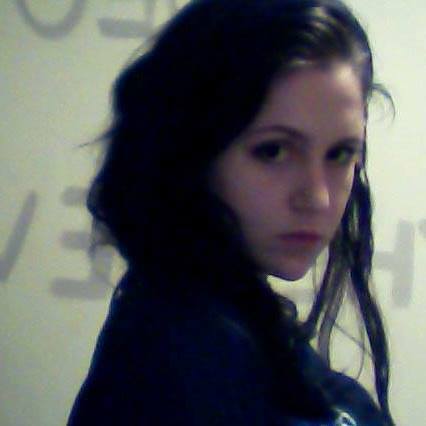 “Everything will crumble down. It’s not economically rational. Exactly because you are committed to acknowledge the official price. That’s why you cannot go back,” he said. Slater, an economist theorist, took a similar stance, citing “psychological reasons” for not bringing down the exchange rate. Additionally, the small set of nodes that underlies the blockchain comes with its own problematics. For example, the majority of nodes need to be online constantly in order for the blockchain function – so if less than a third drop off grid, faircoin will stop processing transactions. But according to Sporos, while the social coordination is at times highly challenging, it’s precisely this grounding in the human condition that gives faircoin its strength.